Does your VW pull up straight and in good time? If not, here’s how to check your drum brake system and find out what is causing your problems. It goes without saying that brakes are a vitally important part of any vehicle, and it’s crucial for both your and other’s safety that they are in perfect working order. Therefore, if you think you have any issue at all with your brakes, you need to investigate immediately. 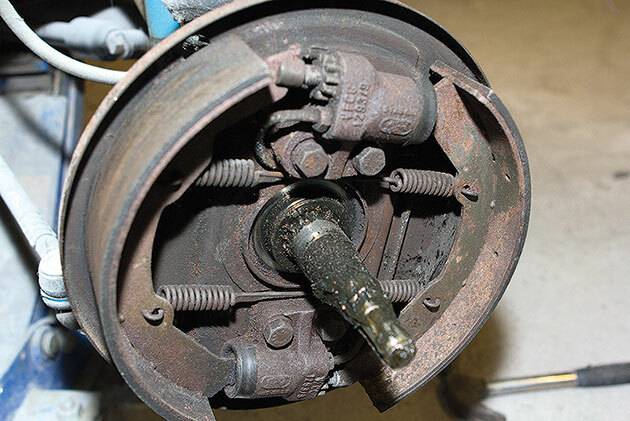 Read on to find out how to check your drum brake system. This article is designed to highlight some of the more common braking ailments VWs suffer from, and to run through the basics of brake system fault finding. Unfortunately, it is often the case that any given symptom can suggest a number of potential problems. For example, if when you press the brake pedal it goes a long way down and feels spongy, you could either have air in the brake fluid, a leaking seal, a perished brake pipe or just badly adjusted brake shoes. You get the idea. Remember to visit: Strictly Aircooled Volkswagen Bug mechanic shop in San Diego.